Summary: Play The Price is Right at home! Win the bid at the beginning, try to win your pricing game, spin the wheel, and maybe...just maybe...win the Showcase Showdown! 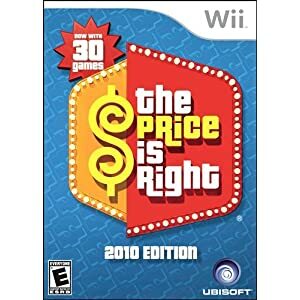 The prices are more-or-less accurate as of the game's publication, in 2009. Summary: Build a big farm: A cow shed, a silo, a barn, a tractor, a riding mower, three farmers, a bunch of animals, and more! Summary: Two farmer minifigures, three pig minifigures, a pig pen, a tractor, and a trailer. Summary: A battle scene with minifigures for the hero character, a princess character, a soldier, a merchant, and a camel. Summary: Minifigures and scenes from the Prince of Persia video game series/upcoming movie. You get the main character, two bad guys, a horse, a skeleton, and other cool parts. This desert fantasy theme should be a great addition to the existing Castle and Viking themes.